Palm Springs is a fairly new city that began development in the 1970s. As more and more retirees moved to the Coachella Valley, Palm Springs turned from virtual ghost town in the summer to a year-round community. Businesses that used to shutter for the months of July and August instead remained open throughout the summer. 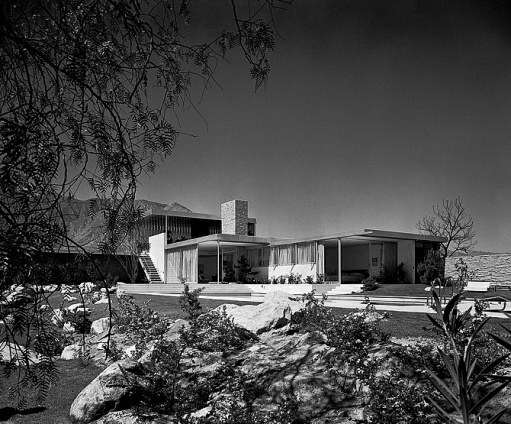 As commerce grew, so too did the number of families settling in Palm Springs. 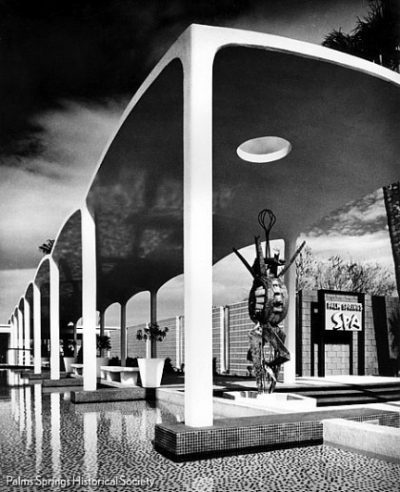 The city is a haven for aficionados of midcentury modernist architecture. Home developer Alexander Homes popularized the “post and beam style” in the years of the city’s growth and built many houses featuring low-pitched roofs, wide eaves, open-beamed ceilings and floor-to-ceiling windows. 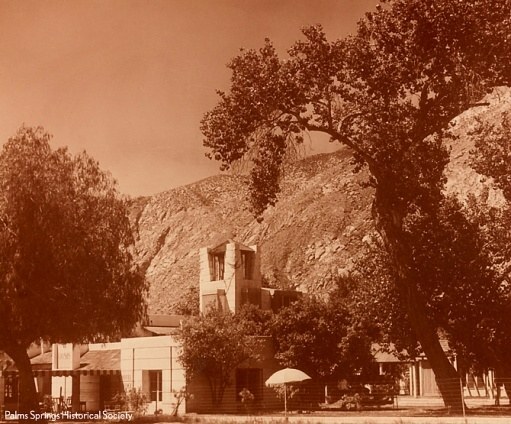 Palm Springs’ most prominent architect was Albert Frey, who designed the city’s airport, city hall, tram station and Movie Colony Hotel as well as the Tramway Gas Station depicted above, which markes the entrance to Palm Springs and “provides a hint of the architectural innovation” that lays ahead. To view all the pictures in Architectural Digest‘s collection, click here. For more about Albert Frey, we recommend this page.